This article describes about how to replace Analog clock with SfTimeSelector in DateTimeEdit control. 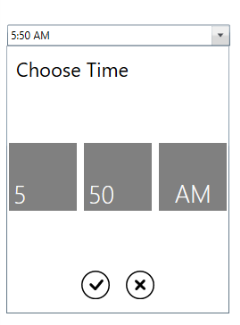 SfTimeSelector will provide friendly environment compare to analog clock to select time from DateTimeEdit. It can be achieved by customizing the template of DateTimeEdit. 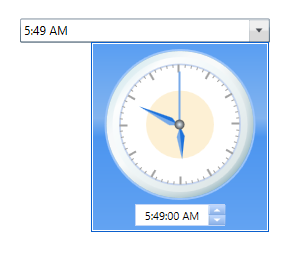 Find the code example which demonstrate replacing analog clock with SfTimeSelector.